Tax planning is often an arduous process. 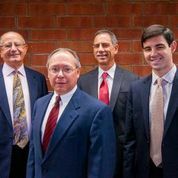 MFDD’s experienced tax law attorneys can help take the burden of taxation matters off your shoulders – and help resolve any claims or difficulties you may face. The tax law attorneys at MFDD provide comprehensive tax planning services for individual, corporate and nonprofit clients. We guide our clients to solutions regarding any discrepancies with various divisions of the Internal Revenue Service (IRS), the Pennsylvania Department of Revenue and local taxing authorities. Assisting and counseling clients who have not filed tax returns or who owe tax, interest and penalties to the IRS, PA Department of Revenue or other taxing authorities. MFDD has also contested and reduced real estate tax assessments, successfully filed individual and corporate Claims for Refund, and prepared federal and state tax exemption applications.